What can I say? This is fantastic! 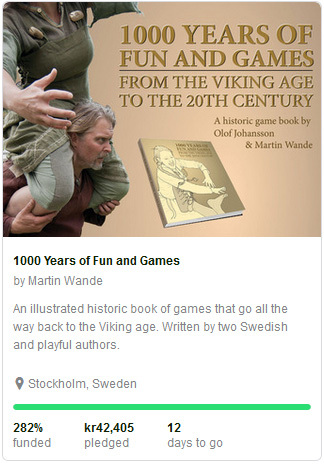 The book will now be printed in an English and Swedish edition. Just go to Kickstarter and decide how many books you need (the more you choose the less they cost). The campaign ends November 16th, after that I will sort out what languages you want and your shipping address.